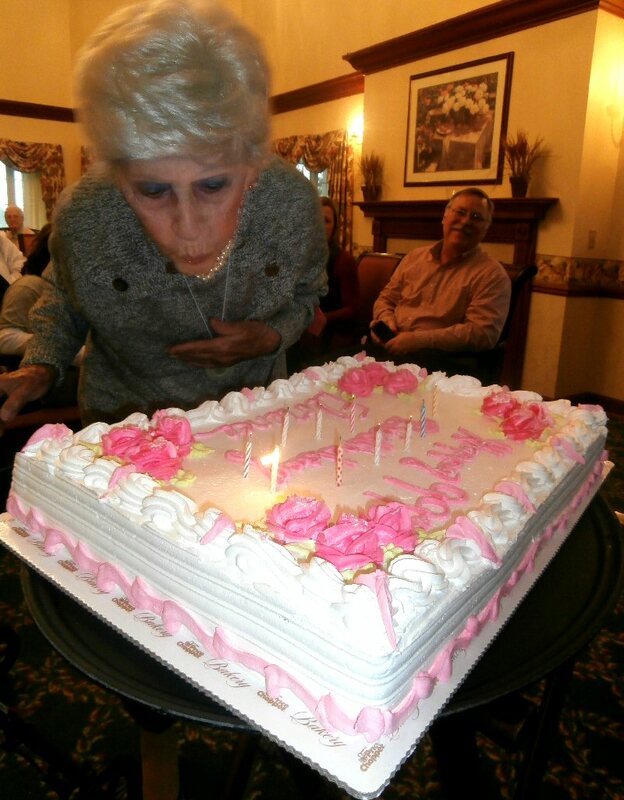 OSWEGO – “Ninety-nine years is certainly something to celebrate,” noted Bishop’s Commons resident Florence Filby recently as she welcomed more than 70 of her closest friends and family with pink balloons, dessert, and a champagne toast in celebration of her 99th birthday. While a DJ played some of her favorite songs, guests danced and toasted to the spunky 99-year-old lady. Florence, a Brooklyn native moved to Bishop’s Commons in January of this year. She is the aunt to Candice Conaway of Oswego.